Dipran S.r.l. has been designing and manufacturing machines and plants for bottling for nearly two decades. Dipran was founded in Modena in the late 90's by staff from the historic company Vir Mauri, that had been working for decades in the bottling industry. Dipran was founded with the aim to provide high standards of quality and competence to our customers. Thanks to a strong expertise in the bottling industry, especially in the branch of filling, Dipran Srl is extremely flexible and provides a highly customized production, which allows it to meet different needs. These skills have been appreciated by expert customers, who recognized Dipran's seriousness and professionalism and allowed the Company to grow ceaselessly over the years. 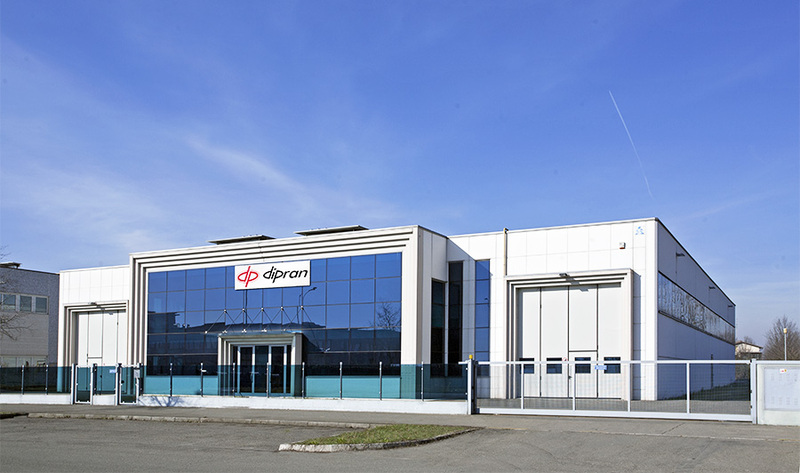 Recently, Dipran has moved to the new premises of Via Raimondo Costa 653 in Modena, where both the offices and the production unit are now located. The new headquarters have new technologies and more space to allow our staff to meet the market's needs and win new challenges. Dipran offers an appropriate customer support and consulting service both in the pre-sales and in the post-sales. Full customer service Dipran supports its customers with different modes of assistance: remote assistance on time, post-sales service and spare parts, emergency service, scheduled maintenance. Preventive maintenance is essential to maintain the systems in perfect working condition, greatly reducing the risk of downtime during the period of maximum work. This service has been very much appreciated by our customers who, in accordance with our support department, plan the maintenance of equipment during downtimes (summer holidays, Christmas holidays, during harvest time, etc.) to decrease to decrease costs of maintenance and losses of production. Scheduled maintenance allows us to resolve all the problems that affect the different stages of bottling, starting from treatment in the transfer of the product, to oxidation, to the maintenance of CO2 and alcohol content, to sterilization up to the quality control of the finished product.